Kids TV Channel / Nickelodeon is an American basic cable and satellite television network launched on December 1, 1977, and is owned by Viacom through Viacom Media Networks and based in New York City. It is primarily aimed at children and adolescents aged 6–11 while its weekday morning edutainment programs are targeted at younger children ages 2–5. 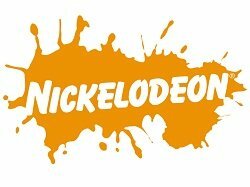 As of July 2015, Nickelodeon is available to approximately 93.7 million pay television households (80.5% of households with at least one television set) in the US.